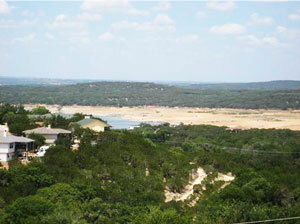 Contact us directly if you have any questions about selling or purchasing a home in Lago Vista. Homes in Lago Vista generally are priced lower than lake properties closer to Austin, and this affords many homeowners excellent opportunities for lakefront or near-the-lake living. The Balcones Canyonlands National Wildlife Refuge, north of Lake Travis, protects the nesting habitat of the endangered Golden-cheeked Warbler and the Black-capped Vireo, and this protected area adds a sense of expansiveness to Lago Vista’s already beautiful natural surroundings. The Lago Vista Golf Course, the Highland Lakes Golf Course, and the Point Venture Golf Club provide off-water recreation for residents and visitors alike. The Lago Vista Course is an 18-hole, par-72 championship course, and the Highland Lakes Course offers 36 holes of golf. Point Venture offers nine holes on a course designed in 1972 by three-time Masters Champion Jimmy Demaret. All three offer excellent scenery and views. Residents of Lago Vista can attend concerts at the beautiful Villa Antonia, perched on a hillside. Flat Creek Estate, an 80-acre vineyard, offers wine tastings and tours, as well as a Bistro. Twice yearly concerts by the 80-member group, the Hill Country Singers, are sold out events for locals. The Lago Vista Public Library also is popular in all seasons with story times, book clubs, and other events. The Lago Vista and Jonestown Area Chamber of Commerce and Convention and Visitors Bureau offer networking and business opportunities for residents.